So frustrating, so time consuming, but so satisfying and so fabulous! Look I know it's sexist, but I've been asked time and again for men's gift ideas! So pleased with this sinuous elegant design, almost too good to put my cake on! Is it only me who can't find stylish ways to improve bathroom storage? 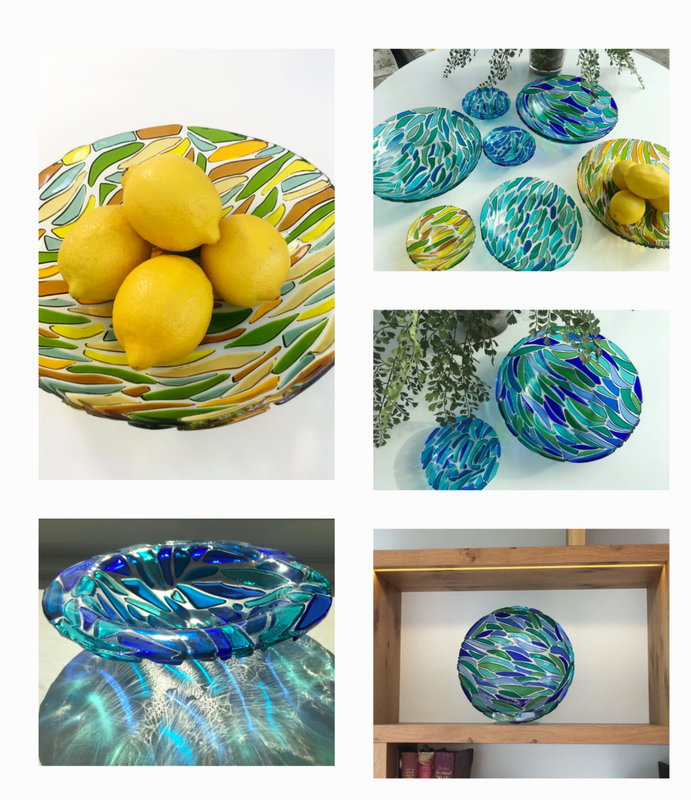 As each piece of fused glass is handmade and one of a kind, it makes creating bespoke pieces in colours to match your own decor much simpler. 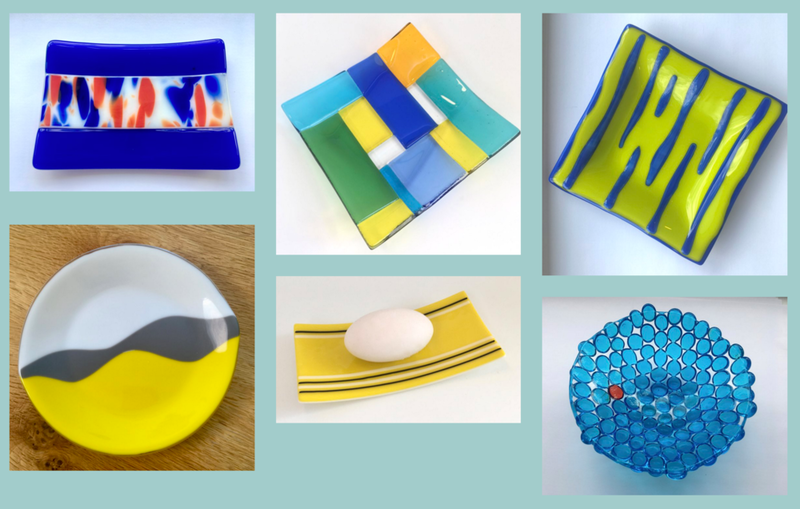 Check out the Bespoke page for the story behind these products.